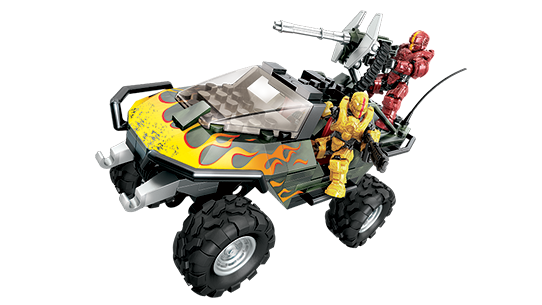 With a distinctively aggressive design, the Wraith is one of the most recognizable vehicles currently in use by Swords of Sanghelios and Covenant forces. 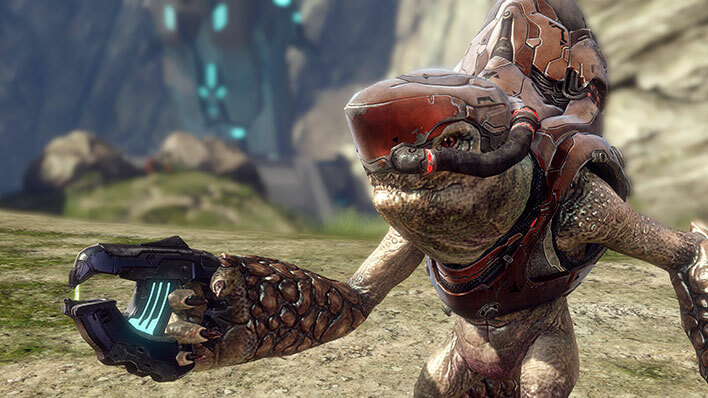 Armed with a plasma mortar that can shatter even heavily reinforced defenses from long distances, the tank is lethal at range. Yet, in the hands of a skilled operator, it can also be quite effective in closer engagements. Despite the Wraith’s large size, its boosted gravity drive allows for impressive bursts of speed and surprisingly agile maneuvers over most terrain. 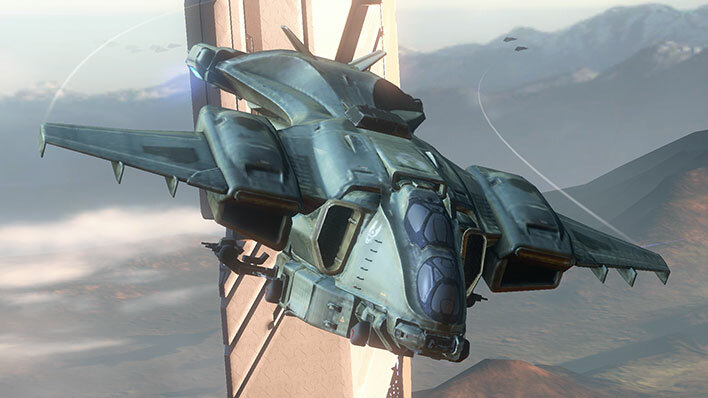 As with all Covenant vehicles, several major variants of the Wraith exist. 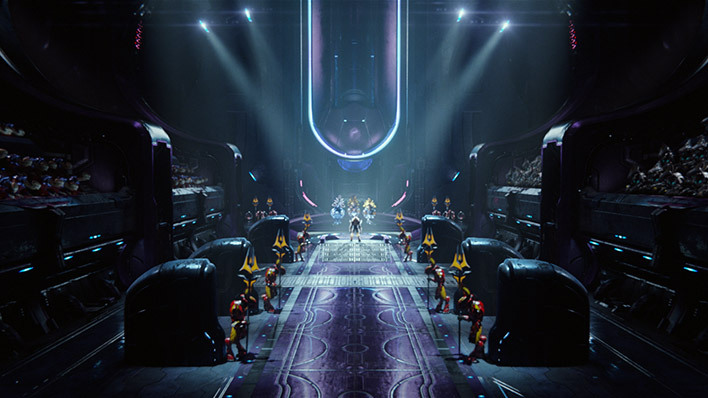 By Covenant measures of standardization these are effectively identical, though ONI’s obsessive categorization identified dozens, if not hundreds, of distinct permutations. Type-26: Surprisingly lightweight and nimble considering its bulk, the T-26 Assault Gun Carriage is armed with a heavy plasma mortar as its primary armament. 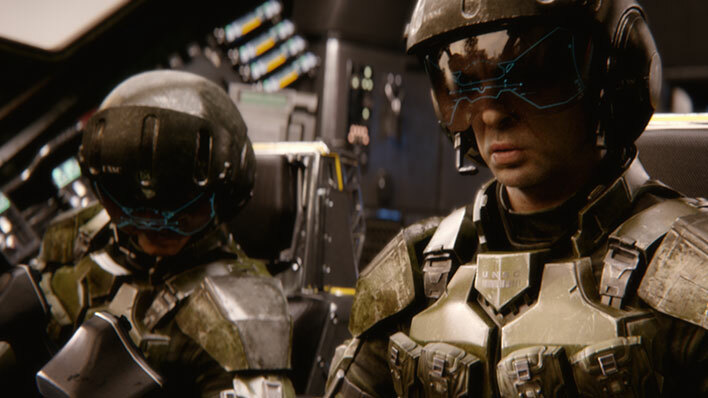 Most also feature one or two crew-served or automated plasma cannon turrets for close-in defense and infantry suppression. Type-52: This variant replaces the plasma mortar with two triple-rack fuel rod cannons. Though obviously intended to be an anti-aircraft vehicle, the Type-52 can - and was - also used in a direct-fire role to devastating effect. Type-58: Thought to be a new design, the Type-58 incorporates advanced technologies that would have never been approved by San’Shyuum clerical authorities. 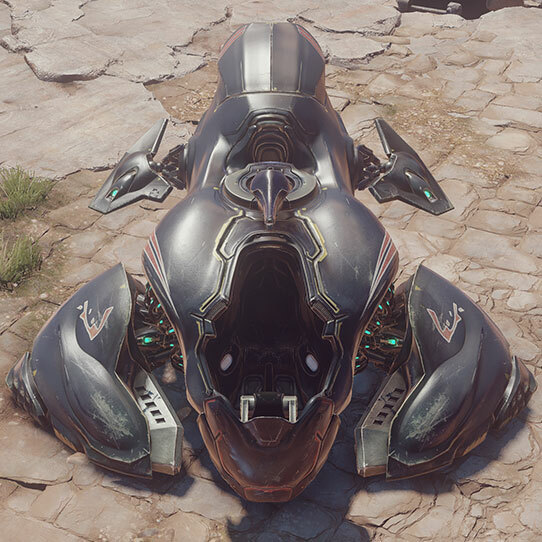 Most of these vehicles are found on Sanghelios, though it is only a matter of time before it becomes more widespread as combat losses of other Wraiths mount. 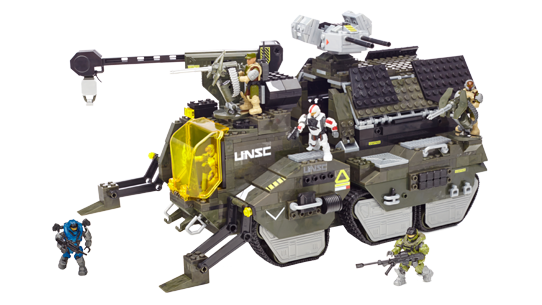 Stampede your way into enemy territory with the UNSC Elephant Troop Carrier by Mega Bloks Halo!